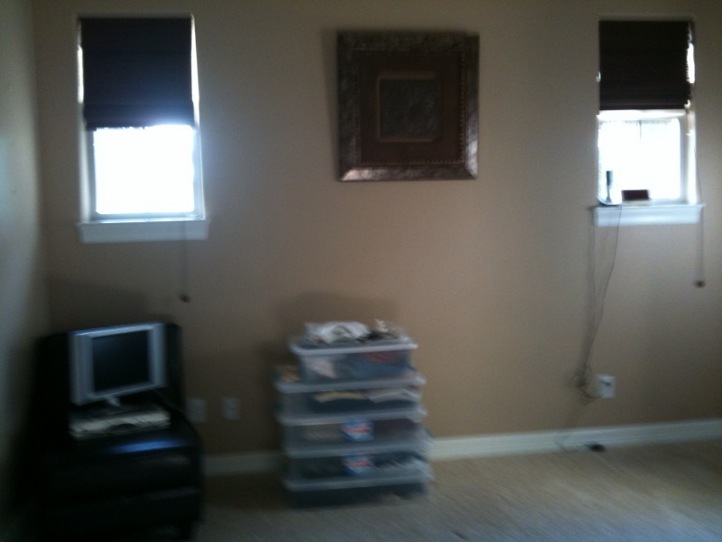 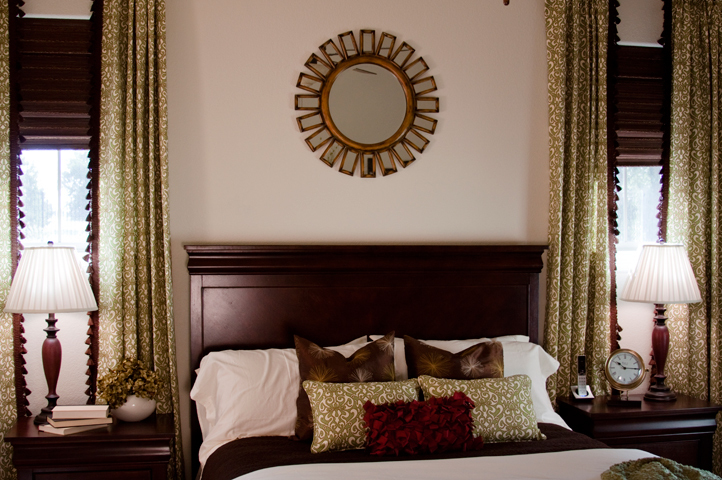 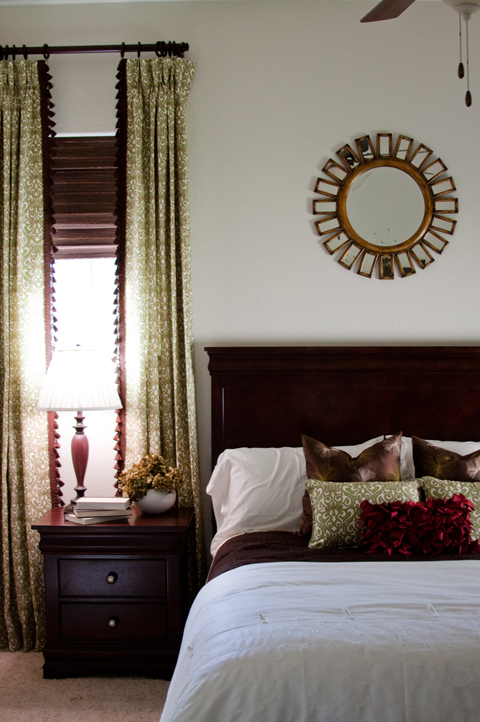 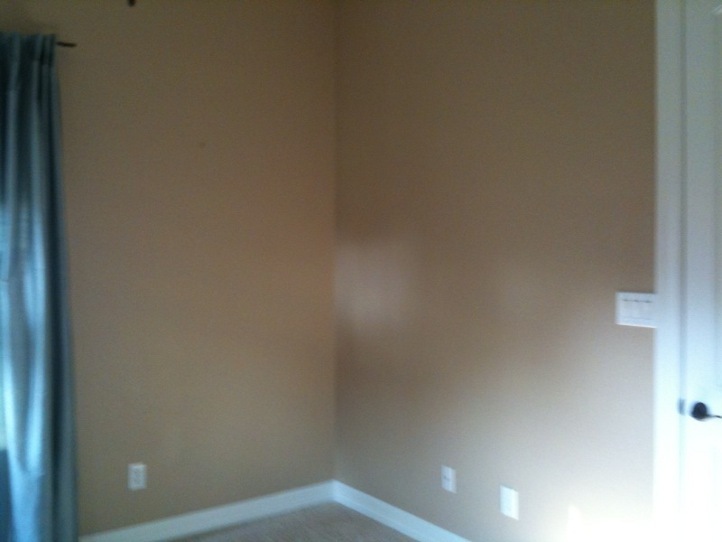 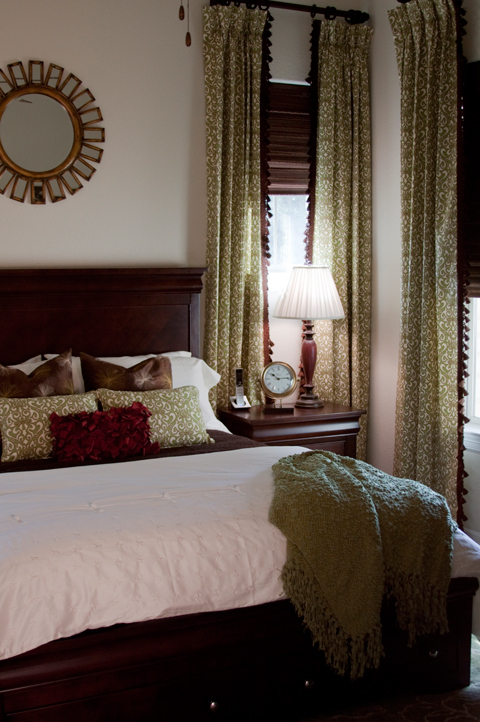 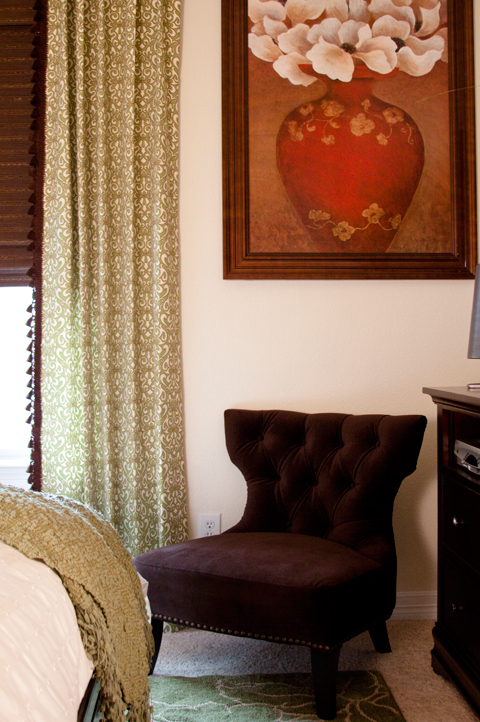 Adentro Designs was contacted by this faithful client to pull off a bedroom redo in a hurry. She was expecting guests and we needed to have this room completely redone within two weeks. 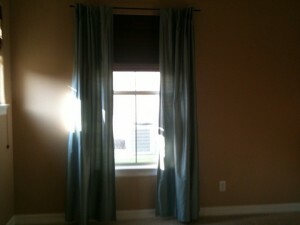 We did it, custom window treatments and all and I couldn’t be happier with the turn out.